Champagne Ardenne, in spite of its famous associations with the most prestigious drink in the world, is an overlooked region. British buyers seem to miss it out, somehow. Perhaps it is because it lies to the north-east, so it's off the usual trail from Calais to the south or the better known west. But, think again, if you're considering buying property in France. Champagne Ardenne is a wonderful region. It is, of course, famous for its gastronomy, which includes everybody's all time favourite drink, Champagne. It's also one of the least populated regions of France, with a population density of just 52/square kilometre. This means it remains gloriously unspoilt and offers a chance to discover a real France that has all but vanished from much of the country. The region is every bit as rich in history and heritage as Brittany, the Languedoc and all the other popular regions. You might not have heard much about its cities, but the cultural and historical heritage of Reims (Reims Property Guide), Épernay, Chalons en Champagne and Troyes will make your mouth water. The region is packed with picturesque villages, fortified churches and a stunning unspoilt countryside. The rolling countryside, rivers (the Seine, Aisne and the Marne all flow through), lakes and forests form an unsurpassed natural playground for outdoor sports and nature. And, it's easy to get to, with travelling times from Calais being just two hours on the roads. The popular perception of Champagne Ardenne is that the region is expensive. It's not based on any real knowledge of the region, rather on the price of its sparkling wine! 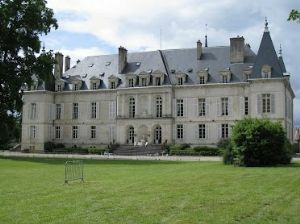 In fact, unlike its luxurious drink, Champagne Ardenne property is, on average, 50% cheaper than that in the south. This makes your dream home so much more attainable! 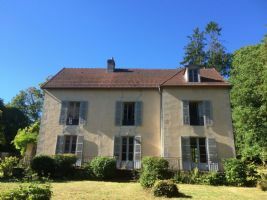 There are also bargain properties on offer, as well as lovely old properties, as the French prefer to migrate to the cities and to more modern homes. In fact, this migration of its people to the cities has resulted in a steadily declining population since 1982. But this almost undiscovered region is perfect for your escape to "La France Profonde" because of that! Whether you are looking for a house set amid the region's celebrated vineyards and Champagne houses (French properties with vineyards), a modern house or a characterful property, or need there to be activities close by, Champagne Ardenne can provide. Some potential buyers have been put off buying property in recent times because of the ever changing and somewhat uncertain economic situation. But, the upside is that this has created a buyer's market, and property in Champagne Ardenne has never been such good value. And with the general trend towards sensibly priced (and even cheap!) property, this makes it a tempting prospect for property buyers in 2018. 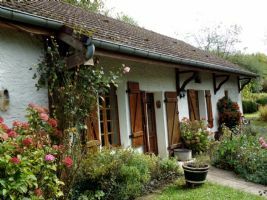 To follow are the best properties in Champagne Ardenne currently on the market. 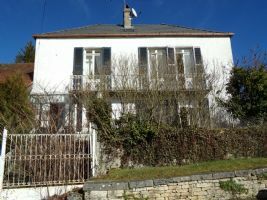 Beautiful Maison de caractere with spacious garden for sale in the south of Haute Marne.A house where you can immediately go in, but due to frost damage the radiators have to be replaced. 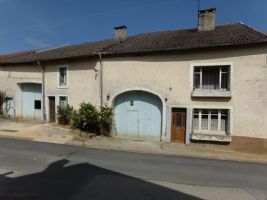 The house is very suitable to make a B&B.Layout:Ground floor:-living room-kitchen-dining room-living room-toilet-bathroomFloor:-3 bedroom (1 with shower).Others:-Large attic where possible 2 rooms can be made.-Great garage with access to spacious wine cellar. 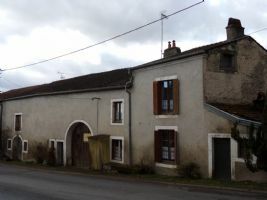 A beautiful old Frence Cottage situated completely free on a quiet dead-end road with a lot of ground in the surroundings of Fayl Billot - Haute marne.Ground floor: Dining Room 30m2, lounge 32m2, bedroom 20m2,-resourced kitchen 12m2, ( dishwasher, fridge-freezer, stove ). Bathroom (whirlpool / shower/ toilet/ double sink and worksheet), utility room 11m2with washingmachine connection. A beautiful, romantic charming house, located in Haute Marne just 8 hours from Utrecht.The house is located on a spacious area of about 5,500 m2, is almost completely walled in optimal privacy. The garden is parky. Has an Ascending site, which creates a romantic completely. A door stairs to a higher part of the garden. An old stone raised. Dovetail, a bakery. An opened wood storage / carport puts Buxus marked paths. It is furnished.